For those moving to Hawaii, trying to furnish a first home, or just ready to upgrade from second-hand furniture, Honolulu has excellent shopping options to outfit your abode. Here are four of our favorites. Honolulu Furniture Company got its start when the owner duo, Doug Gordon, and Thorben Wuttke, realized a gap for a sustainable and local furniture company with cohesive design lines. 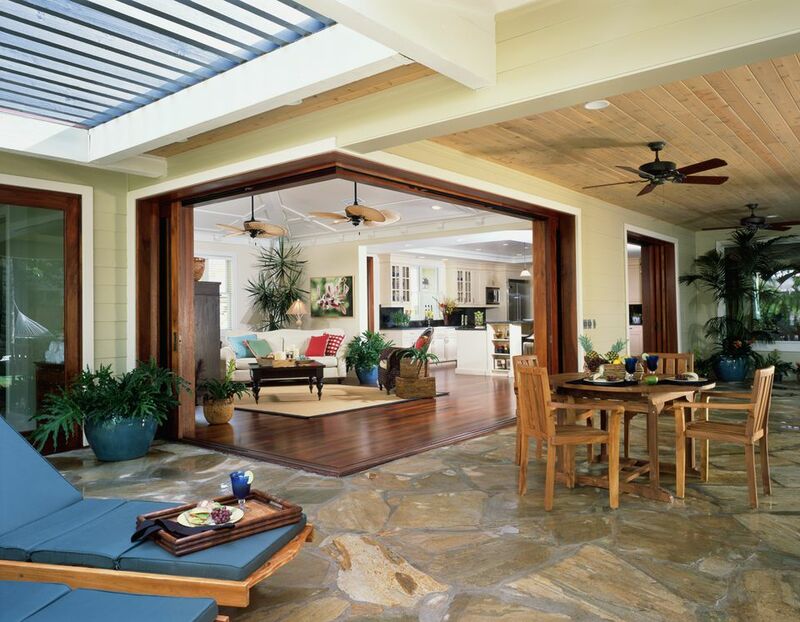 Their company started in 2010, combines the expertise of two seasoned craftsmen with strong design backgrounds and brings it into three lines: Honolulu (contemporary and chic), Hawaiiana Lounge (updated versions of Hawaiiana classics), and Forward Thinking (pieces designed from reclaimed lumber of deconstructed homes on Oahu). The company shifts toward Monkeypod and away from Koa wood—which is an increasingly less sustainable resource. Monkeypod is a wood known for its beautiful grain and texture and is widely available throughout the islands. If you can't find exactly what you like in three furniture lines, the company can and regularly does produce custom projects, particularly for large businesses and organizations. But the best part of all is that clients can stop in at the workshop in Kaka`ako and watch their furniture take shape. In short: An up-and-coming force in local furniture with modern shapes and sustainable principles. They'll go far. INspiration is a furniture store and design center that prides itself on offering options across a wide spectrum of budgets with styles that will work in well in any home. The aesthetic is decidedly euro-contemporary and the company mantra is "live colorful and have fun." This retailer is on the list due to the sheer quantity of options. The 80,000 square foot space at the flagship store on Kapiolani Blvd. is sure to impress with showrooms that range from elegant to cheeky. Need a snack or drink while you're contemplating your new bedroom set? Stop to take a break at one of the in-house eateries: Stage Restaurant, Stage Cafe, or Amuse Wine Bar. The space is so urban chic that the design center even has a built-in theater, Cupola Theatre, that organizations can rent out for events. In short: A super chic space to spend an afternoon picking out a mod sofa for your new high-rise. Martin & MacArthur is a Hawaii-based furniture company with a longstanding tradition of elegant pieces. It is the company's high-quality craftsmanship with Koa wood combined with its trademark rocking chair design that carved the path for it to become a local standard in Hawaii furnishings. The company, under the new ownership of Simon McKenzie and Michael Tam, recently updated their classical lines to include playful pairings of wood and technology with products such as Koa wood watches and iPhone cases. Founded in the 1960s, Martin & MacArthur designs furniture for Hawaii homes with classical shapes and textures that double as heritage pieces to be passed down from generation to generation. All ​ are handcrafted in the company's Kalihi headquarters. In short: A classic pick for traditional Hawaiian and heritage pieces. Address: Multiple locations including 1815 Kahai St. Leaning toward a beachy, coastal look for your home? Then Pacific Home may just be the place for you with their combination of quality "imported exotic" and the "newest and sharpest trends" in home furnishings. True to its name, the color palette and shapes of Pacific Home's inventory conjure up images of the island lifestyle at its best. For those seeking eco-conscience options, the company offers a green line of furnishings by Mitchell Gold & Bob Williams Upholstery. Additionally, Pacific Home offers full residential and commercial interior design services. In short: Bring the color palette and shapes of paradise into your home.